Orpheus Medical is a provider of clinical video and imaging documentation solutions that help healthcare providers improve quality of care and patient outcomes by focusing on care coordination and collaboration. Healthcare providers around the world use our solutions to capture, archive, consume and share clinical video and visible light images and actively improve quality of care and patient outcomes, with intuitive workflow tools that are interoperable with EMR and VNA. By utilizing existing imaging, clinical and IT infrastructure, healthcare providers have a clear path to implement a ubiquitous and affordable medical quality system across the enterprise. Founded in 2010, Orpheus Medical has locations in the United States, Europe and the Middle East. 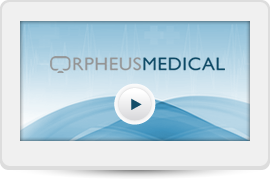 To learn more, download the Orpheus Clinical Media Solution Brochure.